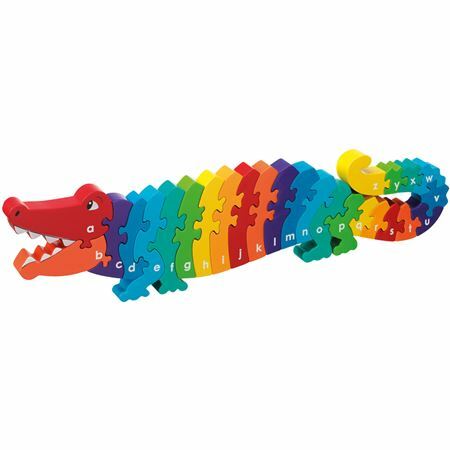 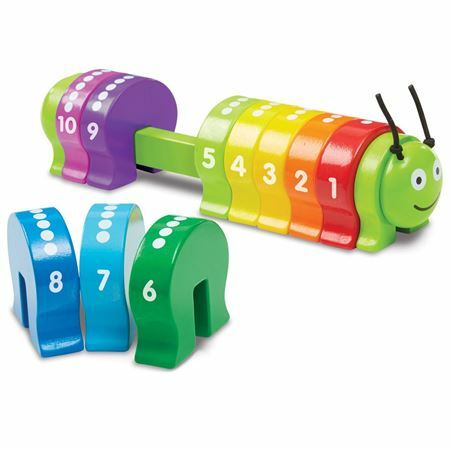 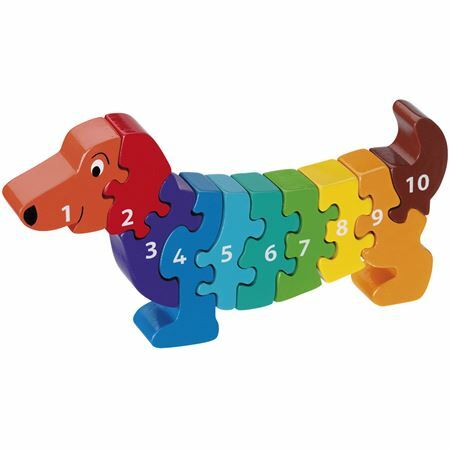 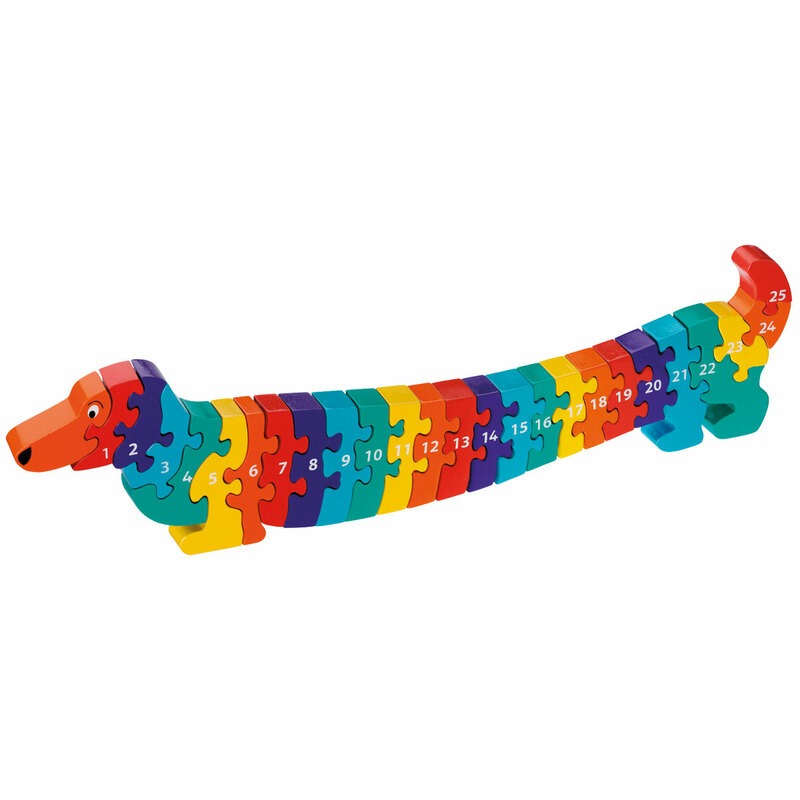 Dachshund shaped, rainbow painted wooden puzzle has 25 chunky interlocking pieces numbered 1 – 25. 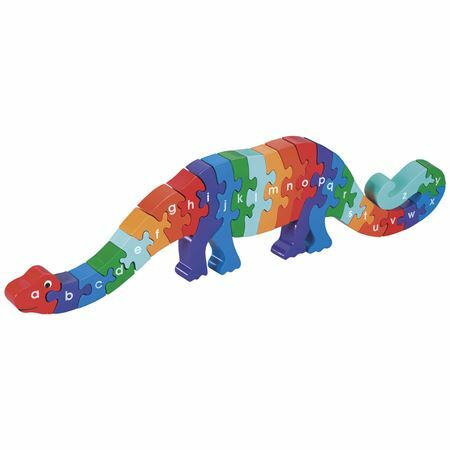 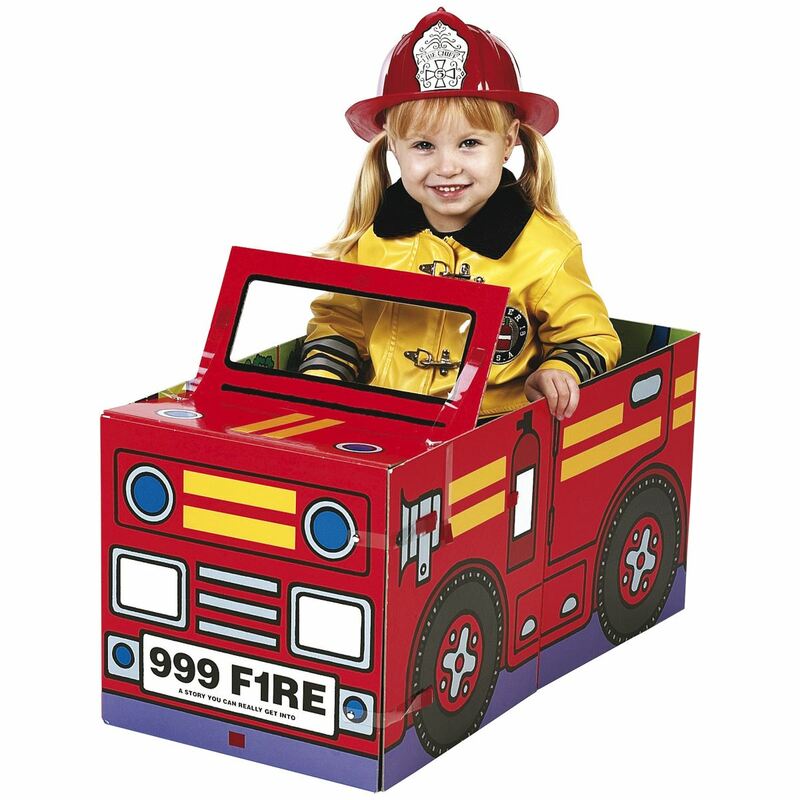 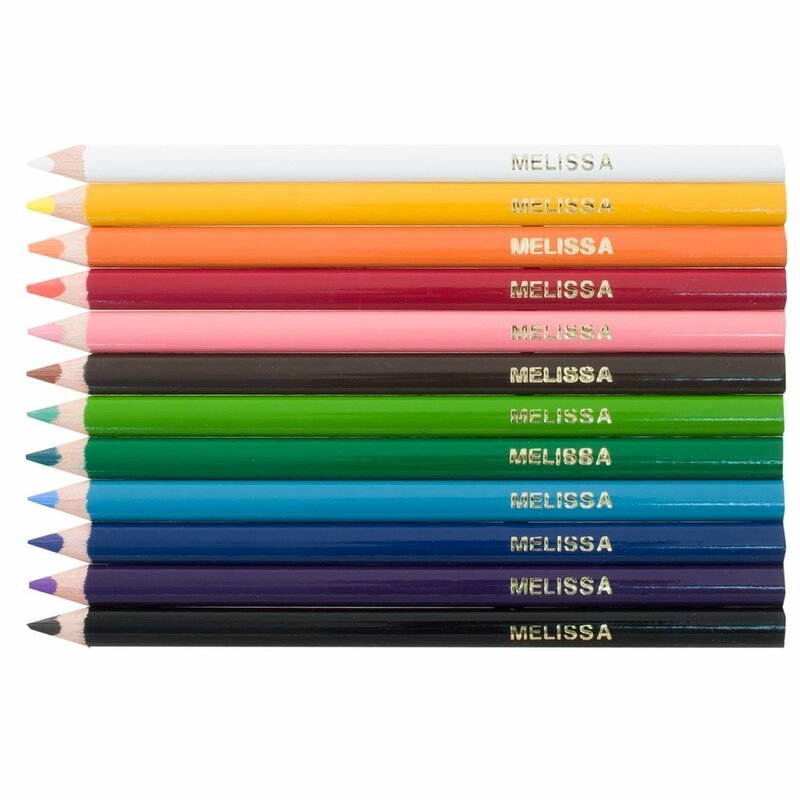 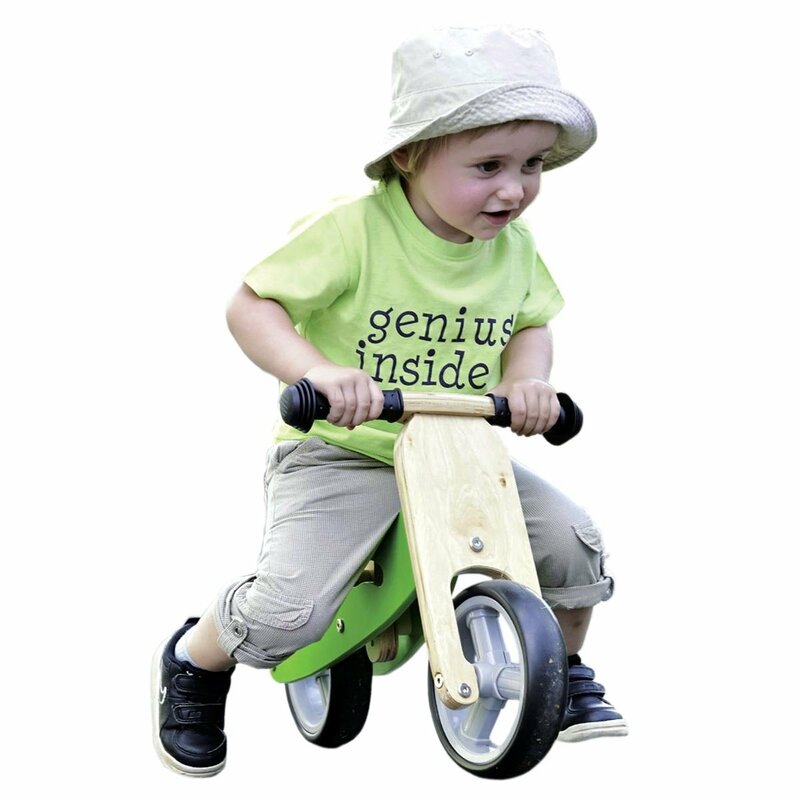 Handmade in Sri Lanka from sustainable rubberwood, such a wonderful way to teach early number and colour recognition, manual dexterity and problem solving. 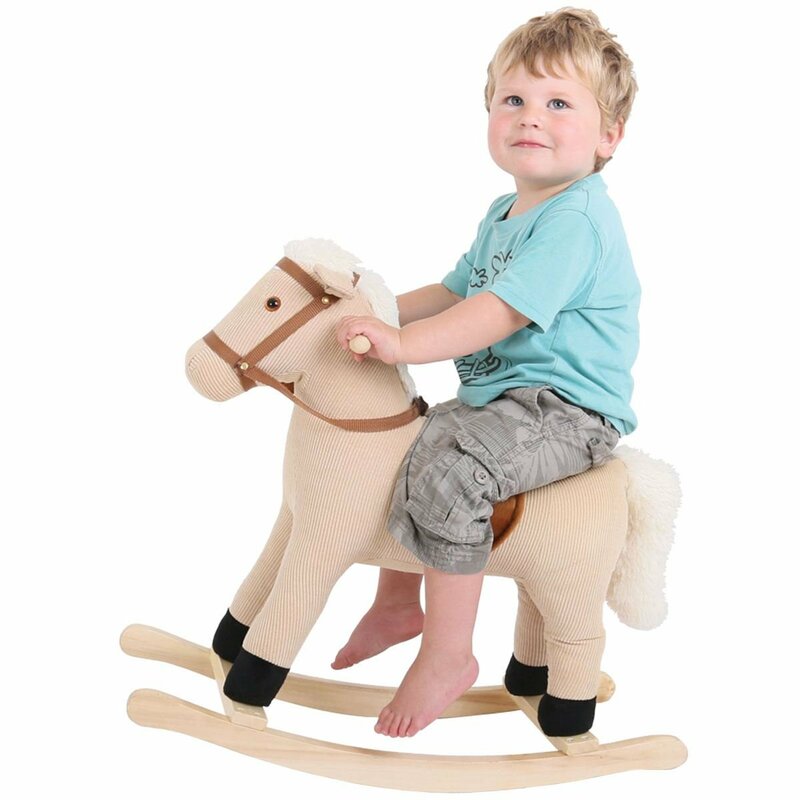 Very popular as Christening Gifts! 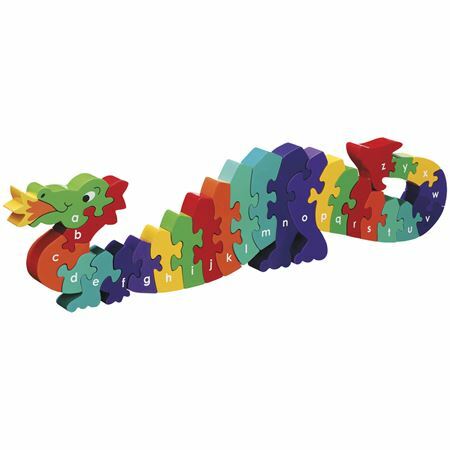 Friendly Dragon Wooden Puzzle with Lower Case Alphabet. 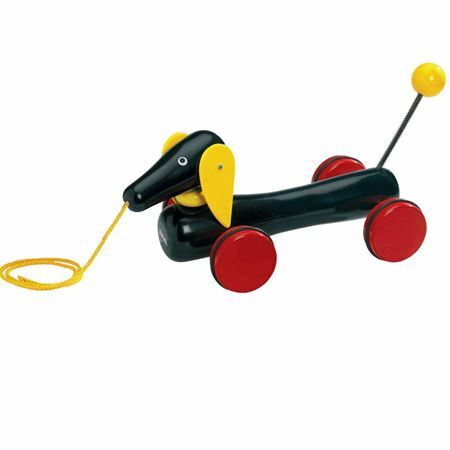 A retro pull along dachshund with a springy tail that wags as he rolls along.